Some of the areas hosting most of the world's biodiversity are those inhabited by indigenous peoples. In the same way that biodiversity is being eroded, so is the world's cultural diversity. As a result, there have been several calls to promote biocultural conservation approaches that sustain both biodiversity and indigenous cultures. "While listening to stories, conservation practitioners may become more aware of indigenous worldviews, so the act of storytelling may facilitate dialogue. 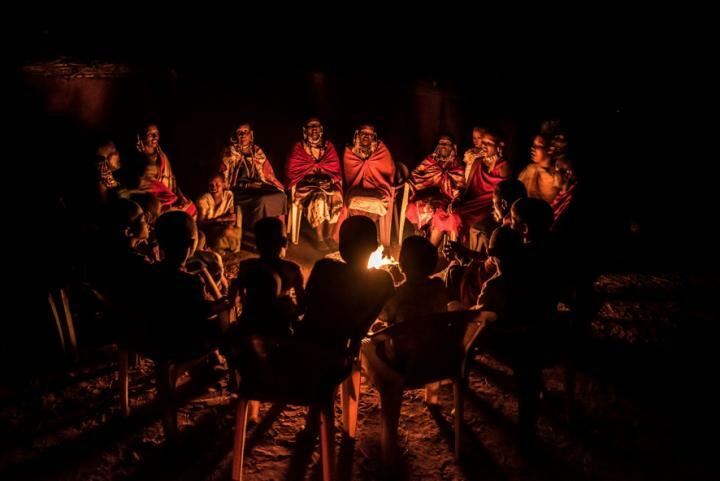 By promoting such encounters, the tradition of storytelling is then revitalised, helping to maintain intergenerational exchanges and the transmission of local environmental knowledge," Fernández-Llamazares explains. By integrating knowledge with feelings, indigenous stories offer an ideal platform for establishing emotional connections with landscapes and their wildlife, ultimately fostering a sense of place. "Listening to indigenous stories is a humbling experience, which implies actively learning from the wisdom of indigenous peoples," Cabeza says. Indigenous peoples have repeatedly said that humility – from both conservation scientists and practitioners – is a critical trait needed to work jointly for conservation. It is crucial to respect the intellectual property rights of indigenous peoples, as well as the customary mechanisms of control, ownership and transmission of indigenous stories. Storytelling projects in conservation contexts have included a local radio programme using storytelling to encourage lemur conservation in Madagascar, a mobile storybooth documenting community efforts to conserve nature in the Sierra Nevada Mountains of the United States or a project assisting indigenous youth to document traditional wildlife stories from their elders in North Kenya. "These original initiatives bridge the gap between cultural revitalisation and nature conservation and hold promise for opening new frontiers in biocultural conservation," Fernández-Llamazares says.